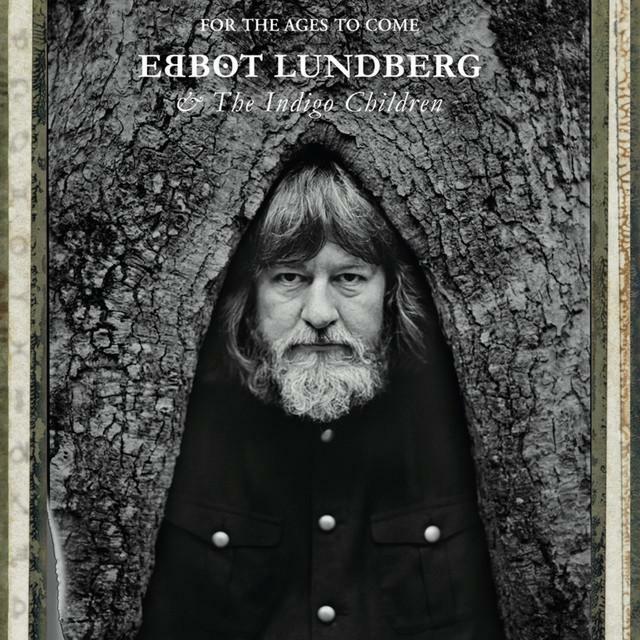 The last album by Ebbot Lundberg and his actual band, The Indigo Children, was out last October 2016. The album is titled ‘For The Ages To Come’ and it was out via the Akaschic Records label and unfortunately it seems like it haven’t had the attention he requires. Because, you see, ‘For The Ages To Come’ it’s really a very good album. Possibly the best album Ebbot Lundberg released from when The Soundtrack Of Our Lives split out on 2012. The album reprises what Ebbot & The Indigo Children started on 2014 releasing via Warner Music/Parlophone ‘The Homo Futurus EP’, which we could actually consider the LP like it is its natural consequence. Also on this occasion on the cover of the album we have got an image of Ebbot looking like he was actually metaphorically comparising himself to a tree. Ironic and at the same time some way solemn, Lundberg litterally used his body to fill an hole into a solemn and centenary oak, in this terms renewing his pact with the nature and being at the same time himself a basement for bringing a new life to the new generations. The contents of the album on the other hand, a miscellaneous of atmospheres of classic sixties psychedelia, are some way a sort of a testmanet Ebbot himself wants to spread with his music not only to the next generations and for the ages to come, but also to his contemporaries, recalling them to pay a much more attention to what’s happening around them and to consider everything we do it has eventually got a consequence. Live responsibly so to leave to your successors a much more responsible world. You know. I think that’s possibly the most ‘serious’ (not in the sense of boring or because it is some way pedantic, doctrinaire) album Ebbot Lundberg has ever made. He completely appears like he was perfectly consciuos about what he was doing and the final result that’s absolutely brilliant. There’re some components I described before which on the other hand effectively reconnect Ebbot not only to the tradition of sixties psychedelic music, but also to a certain type of hippie culture and as consequence to musicians like Julian Cope, who you would immediately think listening to the opening track. A miscellaneous and well figured out attempt of mixing the sixties psychedelic pop-rock style of The Soundtrack Of Our Lives with some medioeval atmospheres which are typical of the extravagance of the ex frontman of The Teardrop Explodes. ‘Beneath The Window Waterway’, ‘In Subliminal Clouds’, ‘I See Forever’, ‘Little Big Thing’ are small and delicate portraits. Acoustic psychedelic-folk ballads with very accurate arrangments and the most precious songs Ebbot Lundberg has ever written since now. Something you wouldn’t probably ever expected from who has got the aspect of a big ogre like him. Some moments like ‘Beneath The Window Waterway’ makes me thing to the great sensibility of Grant McLennan and Robert Forster of The Go-Betweens; ‘Drowning In A Whishing Well’ has got the fascinating atmospheres and the elegance of a band like Cousteau by Davey Ray Moor; ‘Little Big Thing’ it’s much more a Lennon-McCartney thing. Fortunately if you are a longtime fan of TSOOL you aren’t going to feel like Ebbot Lundberg betrayed you some way, because the style into writing the songs it’s always the same and because into this album there’re a collection of pieces which would eventually perfectly be into the discography of that great band and experience which signed the history of the rock’n’roll European music from the nineties to the early years of this millenium. ‘Backdrop People’, the heavy-electrified ‘Don’t Blow Your Mind’, the experimental psychedelic ‘Calling From Heaven’, ‘To Be Continued’ (also inserted into ‘The Homo Futurus EP’) here are to demonstrate you that there’s a lot to leave in heritage for the ages to come and that among all of these things, rock and roll psychedelia it has always got the central role so that it is the main element of life and renew it continuously. A story that’s actually to be continued. Ebbot Lundberg will continue to narrate camouflaging himself with the nature that’s around him. Because he’s part of it, the same blood of the fierce oaks of the Swedish forests flows strong into his vein.